This RCA study was conducted in June 2017 to support the Ministry of Gender, Labour and Social Development (MGLSD) of Uganda and UK Department for International Development and Irish Aid (DFID) in the implementation of ‘Expanding Social Protection Phase II (ESP II) programme. The goal of ESP II is to reduce chronic poverty and improve life chances for poor men, women and children in Uganda and its output 3 refers to the Senior Citizens’ Grant (SCG) which is designed to reduce old age poverty by providing a minimum level of income security for older persons. The RCA study is an integral part of ESP II’s monitoring and evaluation. 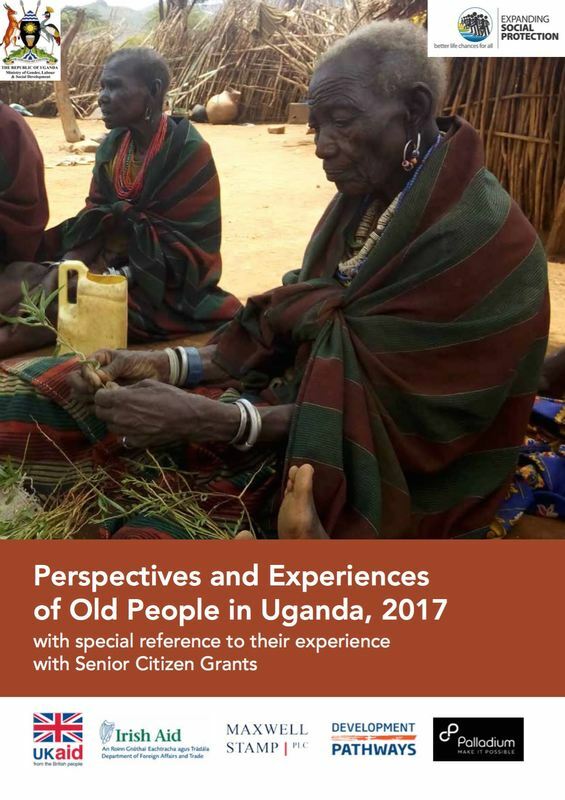 It is a qualitative approach intended to provide insights into the everyday life of old people and the uptake and experience of the SCG through immersion and informal interaction with old people and their families. 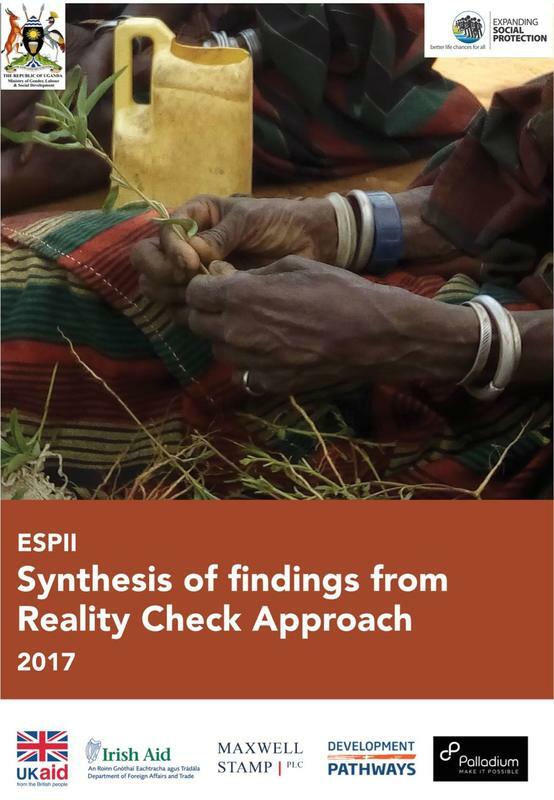 This Reality Check Approach (RCA) study was conducted in February 2017 to support the Department for International Development (DFID)-funded ‘Northern Uganda Transforming the Economy through Climate Smart Agribusiness Market Development (NU-TEC MD)’ programme. This first RCA study is effectively a qualitative baseline and was timed to feed into the Annual Review in April 2017. Families’, and particularly mothers’, primary daily concerns are dominated by food stock and meeting school fee costs. Demands from many schools for crops and other items like sugar and firewood compound this burden. People must have assurance that these needs are met before taking any risks. It would seem that women in particular may be less likely to experiment with different crops and/or methods because of their concern over family food stocks. This concern is influenced by a worry that their husbands may not otherwise prioritize this. School fees hit either at times of stress or at times when they encourage the quick selling of crops after harvests. Meaningful change for many families in these communities will not be possible without addressing this issue. Although many families complain about the low prices they receive for their crops and their lack of bargaining power, we do not see this as ‘forced selling.’ Along with the need for cash, most notably for school fees, convenience is the primary reason why families continue to sell locally and prefer to sell their cash crops quickly. Although some people in all of the study locations are using improved/hybrid seeds of some kind, a lack of information/knowledge and often, consistent availability, is limiting their further use and uptake. Overall, farmers’ groups are not viewed very positively. Although many people are still willing to join them because, ‘you have to be in a group’ to access programmes, people are frustrated by the lack of flexibility, unfair/opaque selection, trust issues and inclusion of ‘lazy’ members. Overall, it seems that many families have accepted the status quo as mostly subsistence farmers, with the exception of West Nile far. This may be influenced by a lack of a perceived ‘middle ground’ between people’s traditional farming methods and those used on, for example, company farms. Still, parents’ motivations for providing education for their children so that they can have ‘better lives’ than them shows that they are still interested in change, particularly if opportunities are visible, clearly demonstrated and accessible.